Hi! One of my goals for the new year was to cook or test a new recipe at least once a month. This week, I decided to honor that commitment with this recipe: Beer Marinated Squab*. 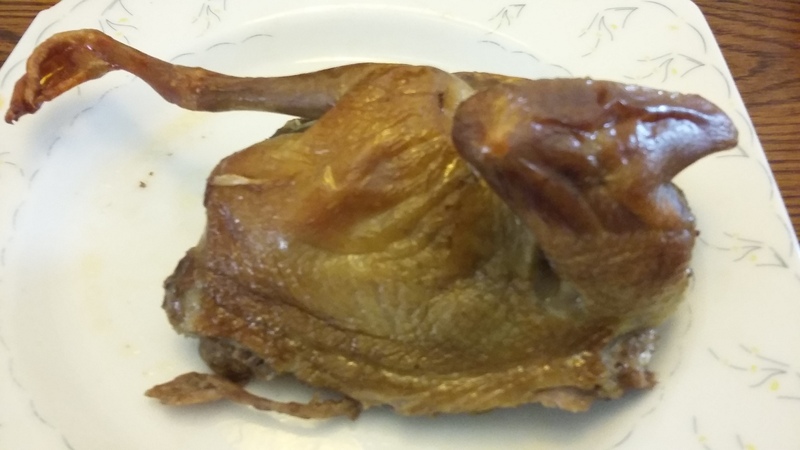 I wanted to replicate the perfectly crispy, succulence of a perfect dim sum roast pigeon, but with a beer can chicken flavour. The inspiration for this actually came from some “research”aka Diners Drive-ins and Dives and random Googling. The “research paid off because this was honestly one of the most delicious things I’ve ever made. Onto the cooking! Second, pigeon is one of the only birds that can be eaten without being fully cooked. While the stigma around undercooked poultry causes some to “prefer” pigeon well done, I found that a mid rare- medium roast was both more juicy and tender. Of course a well done pigeon can also be juicy and tender, but that’s a lot harder for people like me who aren’t professionals. Finally, don’t worry about what beer to use. Literally any kind will work. A darker beer will produce a more intense and deeper beer flavour while a lighter beer will allow the spices to shine through more. I used a particularly light (and cheap) brand of Tsingdao beer. Place spices in water and bring to a boil, reduce heat and simmer until fragrant. Cool completely, then add beer. Marinate pigeon for 12-16 hrs, then dry until skin is nearly translucent. Preheat oven to 180C (356F) and bake for 20-25min. Remove from oven. 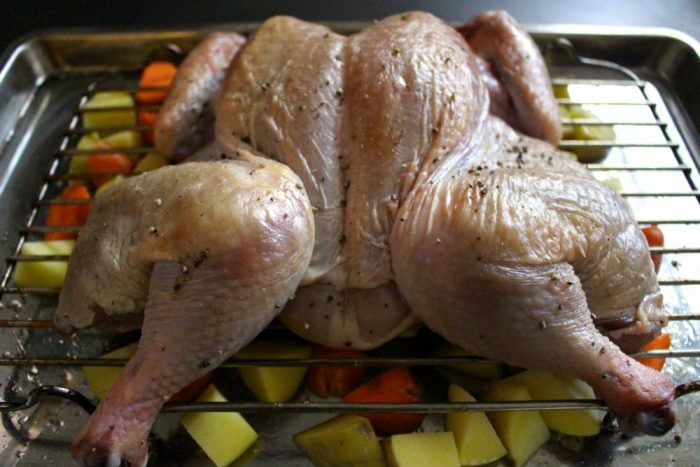 Raise temperature to 250C (482F) and bake for 5-10 more min, or until skin is golden and crispy.